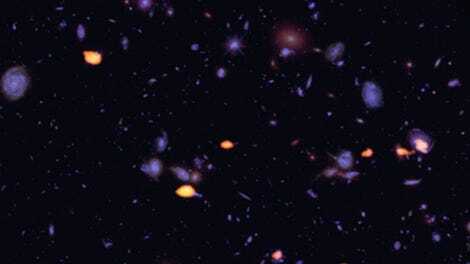 Using the Hubble Space telescope and other observatories, astronomers have completed the most accurate census of galaxies in the observable universe to date. In terms of the actual number, let’s just say we were way the hell off. And that’s just within the observable universe. Because the cosmos emerged some 13.8 billion years ago, we’re only able to observe objects up to a certain distance from Earth. Anything outside this “Hubble Bubble” is invisible to us because the light from these distant objects simply haven’t had enough time to reach us. It’s difficult—if not impossible—to know how many galaxies reside outside this cosmological blind spot. To come up with the new figure, an international team of astronomers led by Christopher Conselice from the University of Nottingham, UK, used deep space images from Hubble, and combined them with data collected by other astronomers. The images were converted into 3D, allowing the researchers to make accurate measurements of the number of galaxies at various stages in the universe’s history. They were able to peer back into time, showing that the early universe was cluttered with many tiny galaxies, which eventually merged with other tiny galaxies, forming many of the larger objects we see today. The results of this latest celestial survey, which are set to be published in the Astrophysical Journal, shows the significant degree to which galaxies have evolved over the course of the universe’s history. Using new mathematical models, the astronomers were also able to infer the existence of galaxies that the current generation of telescopes cannot detect. The researchers say there must be a further 90 percent of galaxies in the observable universe that are too dim and far away for us to see using current telescopes. 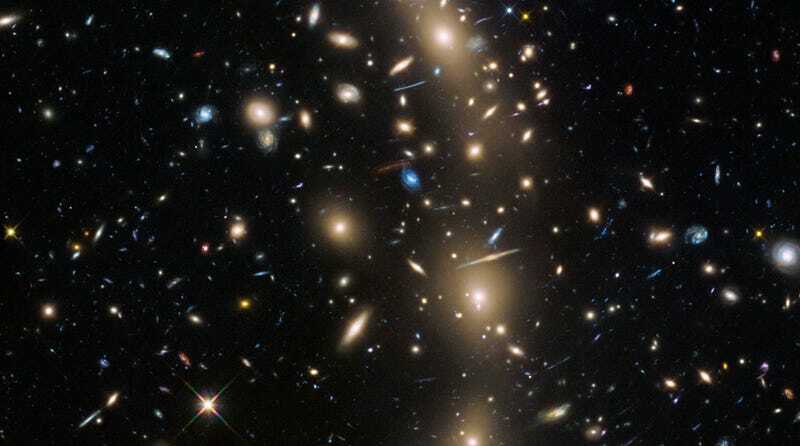 Indeed, future observatories like the James Webb Space Telescope will allow us to study these ultra-faint galaxies. Why is the Scale of the Universe so Freakishly Large?